Purdue Pharma, the company best known for selling the prescription painkiller OxyContin, announced on Saturday that they would stop marketing opioid drugs to doctors. The move comes amid a series of state and municipal lawsuits that blame the company for contributing to the opioid epidemic. Purdue has faced criticism for more than a decade that it has aggressively and irresponsibly pushed the sale of its drug OxyContin. The company said Saturday that it would cut its sales force by more than 50 percent, with approximately 200 people remaining in the department. The company plans to run all questions about its highly profitable drug Oxycontin — which the American Addiction Centers said has a strong “potential for addiction and subsequent withdrawal symptoms” — through its medical affairs department. Dr. Andrew Kolodny, the co-director of Opioid Policy Research at the Heller School for Social Policy and Management, said he wished that the company had decided to stop marketing the drug years ago and that other opioid manufacturers would agree to do the same. "The problem we have is doctors over-prescribing opioids, and it’s difficult to promote more cautious prescribing if manufacturers are sending drug reps into doctor’s offices and advertising in medical journals and investing millions to get them to prescribe more," Kolodny said. "Overall, the impact will be small because the genie is out of the bottle," he said of the opioid manufacturer's decision. "But if other opioid manufacturers would do the same, it would have a bigger effect." Purdue generated $1.94 billion in Oxycontin sales in 2017, according to Symphony Health Solutions. That is approximately $1 billion less than its all-time high in 2013. First introduced in 1995, Oxycontin was marketed by Purdue as being a non-addictive, time-release version of oxycodone used for the treatment of chronic pain. Users soon learned that they could bypass its time-release function by crushing the pills and snorting or injecting them. Because of Oxycontin’s rising cost, many people who developed an addiction to the opioid subsequently turned to heroin, contributing to the ongoing drug epidemic. In 2007, Purdue Pharma and three of its executives were fined $634.5 million for misleading the public about the painkiller's addictive properties. The company's top lawyer, former president and former chief medical pleaded guilty to misbranding the drug. They were placed on probation for three years and ordered to perform 400 hours of community service. The drug maker recently attempted to recast itself as an advocate in the fight to end the opioid crisis, while maintaining an aggressive sales push. 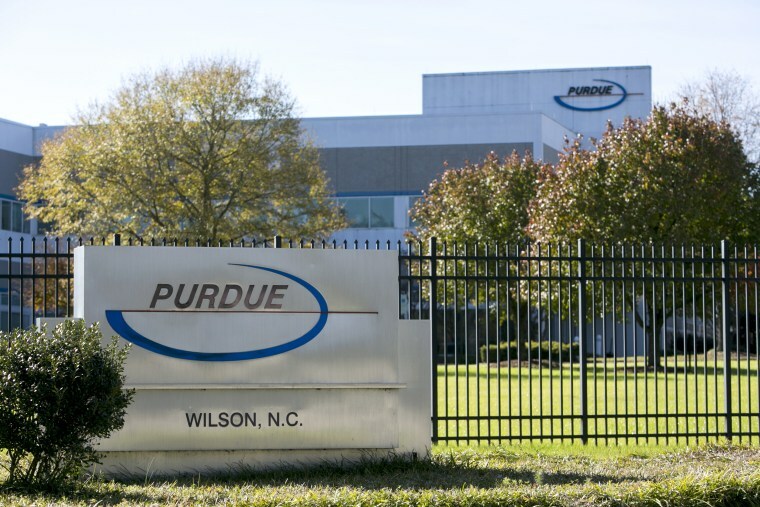 According to new details released in a 2017 Washington state lawsuit, Purdue’s sales staff collected data to find the highest prescribers it could and then aggressively market its drugs to those individuals. More recently, the company identified nurses and physician assistants as "a high value target, particularly due to impact on primary care," and pushed its sales team to target these potential prescribers. The drug maker noted an 18 percent uptick in sales from nurses and physician assistants between 2014 to 2015. According to the Centers for Disease Control and Prevention, 1 in 4 people who received prescriptions to drugs like Oxycontin currently struggle with an opioid addiction. The CDC also reported that more than 1,000 people are treated in emergency rooms for prescription opioid overdoses. The National Institute on Drug Abuse reported that opioid pain reliever prescriptions escalated from 76 million in 1991 to nearly 207 million in 2013. The institute also found that the United States is the biggest consumer of hydrocodone in the world, taking in almost 100 percent of the world’s doses. The White House Council of Economic Advisers announced in November that the ongoing opioid crisis cost the country $504 billion in 2015, attributing the high dollar amount to health care, criminal justice spending and lost worker productivity. Their finding is more than six times the most recent estimate. In the past year, Purdue has been named in lawsuits filed by the Ohio, Alabama and Washington attorneys general. Even cities like Philadelphia have filed a suit against the company for exacerbating the drug addiction crisis. Alabama Attorney General Steve Marshall announced earlier this week that he had filed a lawsuit against Purdue Pharma, stating that drugs like Oxycontin had left "a trail of addiction and death winding through every community of this state." "Alabama ranks first in the nation for the number of painkiller prescriptions per capita,” Marshall said in a statement. "As a result, it is estimated that almost 30,000 of our residents over age 17 are dependent upon heroin and prescription painkillers. Alabama’s drug overdose death rate skyrocketed by 82 percent from 2006 to 2014 and it is believed that many of those deaths were from opioid painkillers and heroin." Sen. Joe Manchin of West Virginia, whose state leads the nation with the highest per capita rate of fatal drug overdoses, said in a statement that he was "encouraged by Purdue's decision to stop marketing deadly opioids," but "they are still a long way from reversing the damage they've done to families and communities across the country." "If they really want to start helping the communities they've devastated, they should support and implement my LifeBOAT legislation, and contribute one penny per milligram of every opioid they sell to funding treatment centers," Manchin, a Democrat said. The legislation "would establish a permanent funding stream to provide and expand access to substance abuse treatment," and impose a fee of 1 cent per milligram of active opioid ingredients in prescription pain pills, and include rebates for cancer-related pain and hospice care, according to his office. The re-introduced bill was referred to the Finance Committee last year.